The golden age of marketing hasn't even begun - and it's all yours for the taking. To kickoff the 2018 MIMA Summit, Cindy Gallop tells you how to capitalize on the opportunities everyone else is missing; the guaranteed formula for business success (yes, there is one); the must-have talent pools for hiring you've never considered; and how you can own the future of technology - all translated into actions you can begin taking the moment you leave MIMA Summit, to make that future real. Cindy is the founder of IfWeRanTheWorld and MakeLoveNotPorn, and an advocate for social responsibility at the core of every business strategy. She is a consultant, speaker and entrepreneur who turned 30 years of branding and advertising agency experience into a career of industry disruption, business game-changing and brand reinvention. She says it best - “I like to blow s*** up. I am the Michael Bay of business." 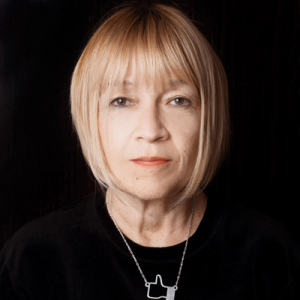 You can follow her on Twitter @cindygallop.